Our social media management services handle everything from A-Z and in between. This includes creating a social media marketing calendar, community engagement and building connections. 2. Determination of the target audience and its segmentation. 4. Social media content calendar review. 5. Publish on your social channels. The effectiveness of the communication methods in social networks depends largely on the product/service, positioning and target audience. For a successful campaign in social media, a business must clearly define its goals, its target audience and its interests, and be well aware of the features of the resource on which it plans to move. It is necessary to constantly monitor the trends of social sites and in the case of reducing or losing the popularity of the user site, in time to redirect their efforts to more fashionable and effective. To work and conduct advertising campaigns in social networks takes time, patience, consistency, knowledge and experience of a professional social media marketing agency like us. We analyse your website, business topics, identify the target audience. Analysing accounts in social networks, if the page already exists. We define the goals and objectives of the advertising campaigns, coordinate the strategy and media plan. We are experts at creating from scratch or improving existing social accounts, focusing on quality content and matching that with your brand. We launch an advertising campaign, set up analytics programs to monitor the effectiveness of its effectiveness as a whole and its individual elements. We optimize insufficiently effective ads, redistribute the budget. We provide reports on the work done, the progress achieved. We offer ways to improve the campaign and action plan for the future. This stage is the basis for creating a strategy, its foundation. So do not hesitate to ask the client in detail what exactly he wants to receive as a result of cooperation with you: increasing brand awareness, increasing the number of subscribers, attracting traffic to the site, increasing the number of direct sales. Often, the client wants to get everything at once or considers the choice of a goal a matter of not too fundamental. It is important to immediately discuss this point, to offer the best, in your opinion, solution. You also need to immediately specify what the rate of increase in efficiency, the client considers optimal. Specify the desired number of new subscribers per month, the expected coverage, the number of completed applications (depending on the purpose of promotion). If the client is poorly oriented in this question or gives vague answers (in the spirit of “the more, the better”), estimate your own probable predictions and voice them to the client. At this stage, it is important to convey to the client the role of social networks in the promotion, to focus on the communicative function as the main one. Brand promotion, active interaction with the end user, recognition – this is the primary role of social networks, attracting conversions is just a “bonus” of SMM marketing. So if the customer wants to focus on direct sales or attracting traffic to the site, it would be better to offer him services for setting up advertising in search networks and SEO optimization of the site. When goals are marked, you should decide on your target audience. Even if Central Asia seems very broad, it is necessary to single out the most “typical” consumers in this niche and create several main audiences. It is important that the portrait of Central Asia is as clear as possible – this will allow you to effectively spend the budget on advertising campaigns and formulate messages that resonate with a specific category of people. Portraits of Central Asia, the main messages for each of them and a description of the problem that the promoted product or service is closing should also be included in the strategy. Employees of nearby business centres. Tourists staying in cheap hostels nearby. There may be several such groups, but it is important to check the degree of their intersection. If this indicator is high, then it would be more rational to combine several overlapping audiences into one. Students the basic need is to eat cheaply, but at the same time satisfying. The main message is “We have inexpensive, large portions”. The more accurately the audience will be segmented, the more targeted advertising will be, and the more reactions it will receive. What unique services can we offer to the client? (That is, those that do not have competitors). What we have is better than our competitors (for example, longer working hours, the availability of special discounts and programs, the presence of a certain specific category of goods in the general range, etc.). An average number of likes for a particular publications. A number of publications per month. The style of writing texts, their average volume, tone. The quality of the visual components, their format, the overall style. In the conclusions, note the strengths and advantages over competitors, as well as those indicators that need to be improved in order to remain competitive in the market. In my opinion, identical content for all social networks is a solution without flexibility, and therefore not optimal. So, let’s talk about the features of the strategy for such social networks like Facebook, Instagram, LinkedIn and Twitter. Instagram. Focusing on the visual component – this is what should be repelled when creating a strategy for Instagram. The abundance of text in photographs, poor-quality images, colours that go along with each other – all this is unacceptable here. Therefore, the strategy should immediately prescribe the nature of the images, their style, colour tone – in a word, everything to the smallest detail. It is also worth noting that the texts for Instagram should be as concise as possible, but at the same time convey to the client the main idea and message. Facebook. This social network does not make such a vivid emphasis on the visual component as Instagram (although one should still remember the quality of published images), because the emphasis should be on the information component. The text can be quite long, but avoid “transfusions from empty to empty” and unnecessary pathos. There should be no aimless publications – only informative. And in the FB offers a wide range of publication formats – use it. The strategy is important to mention the need for situational content. New popular challenges every now and then appear in the network, high-profile world events are highlighted. Sometimes to reflect something similar in your tape is useful in terms of attracting attention and increasing coverage. Moreover, it is important to adapt the challenge or news to your sphere. The only exception may be purely informative, highly specialized pages with a serious syllable, where such hype would be inappropriate. Informative. In these publications, you introduce a potential client with a product or service, answer possible questions, cover important news. Selling. The main goal of such posts is to focus on the advantages of the promoted products, both in general and in comparison (including implicit) with competitors. Entertaining content. Serious, information-laden publications should be diluted from time to time with something entertaining, easy to read. These include posts with humour, various polls, quizzes, pranks, Viral posts. This item can include various flash mobs, etc. It is not enough to create a strategy at the very beginning – over time, it must be adjusted, given the indicators that were prescribed for the purposes. Usually, changes are formulated and made at the end of each reporting period. It is also necessary to constantly monitor various innovations in social networks and to add to the strategy those that, in your opinion, can improve performance. The strategy is the foundation on which depends not only the general vector of work on a particular project but also the effectiveness of each channel as part of an integrated promotion in social networks. Now all companies understand that a strong presence on social networks is very important for business, sometimes even more important than a simple website. Company call centres, both internal and outsourcing, are now better-called contact centres since they work with the most diverse communication channels between the company and the end user. Social media is becoming an increasingly important channel for marketing, sales and customer service. We can work on Twitter, Facebook and other social networks on behalf of the client to provide the most effective way to communicate with the audience. Our contact centre will help you set up an account and manage your daily social media activities. Facebook, the giant of modern social media, now has more than 800 million active users, and almost 500 million people actively use this website daily. In addition, more than 30 million small businesses are currently active on Facebook. They use this social platform to attract new customers and maintain the interest of existing customers by updating content and promotions. It may be strange for a company owner to achieve new results using a platform that is usually used for personal leisure. In addition, managing your brand presence on social networks can be time-consuming and requires considerable effort. And here we can help you. Our contact centre team has extensive experience in managing social media channels, turning them into new customers and new sales for you. We specialize in managing high-performance social campaigns on Twitter, Facebook, Google Plus, Instagram, LinkedIn, WeChat, Weibo for small and large businesses. 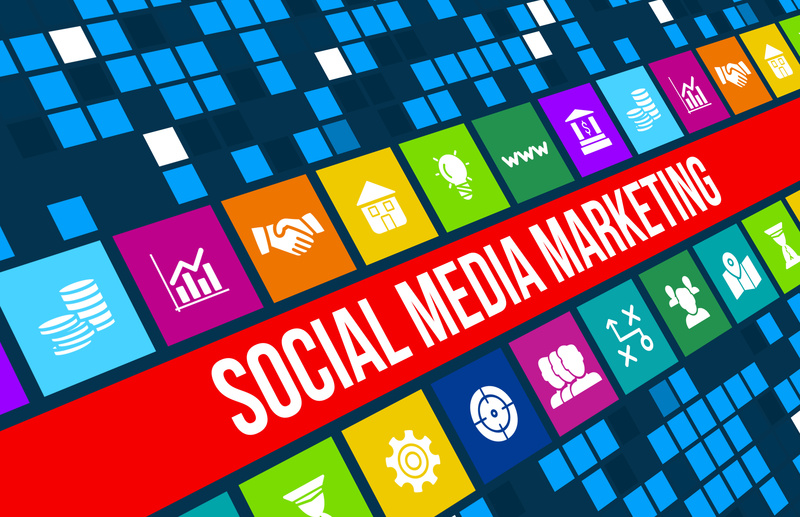 At Lorenzo Gutierrez Digital Marketing, we use the most appropriate SMM strategies to grow your business, expand your reach and reach your goals. From managing the daily flow of content – to mediating and controlling interaction in your audience. Lorenzo Gutierrez Digital Marketing takes care of all your advertisements, on any social network. Use social media channels as the fastest way to get new customers and instant sales. Do you know that there are potential clients somewhere that need your services, but they find it difficult to find you? Lorenzo Gutierrez Digital Marketing will help them connect with you by ensuring your business is present at the sites they use. One of the advantages of using social media is the ROI (return on investment) is well defined here because your ads will only be shown to potential customers with an 80% chance of such actions as buying a product, registering on an email list, and switching to the web site. You no longer have to worry about supporting your brand and providing relevant content to your audience. We can create unique content for your social media channels. It helps more engagement, click conversion and lead generation. 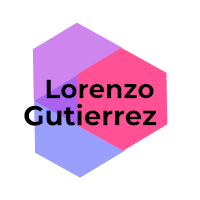 Lorenzo Gutierrez Digital Marketing works with advanced advertising tools and strategies designed to enhance your online presence. Establishing trusting and strong relationships with your customers. This greatly increases awareness of your brand and products, generates new leads. Increases traffic to the site and a positive effect on sales. We will take care of managing your social media presence. And at this time you will be able to focus on other important things – expanding your business, building confidence, and increasing your audience. Regardless of whether you work in real estate, e-commerce, technology, consumer goods, in a non-profit organization or manufacturing industry, in any care. Our social presence management services will lead your business to success. Lorenzo Gutierrez Digital Marketing social media management service transforms your social media presence. And help optimize your social channels for your marketing goals. Get A Custom Proposal Today!